Richard Heydarian argues (Leni and the ‘third way,’ July 10, 2018) that Vice President Leni Robredo should remake herself into a “third way” alternative ala Tony Blair of UK and Bill Clinton of the US. With Robredo declaring her intent to lead the opposition, the question of an alternative to Duterte is truly worth discussing and debating. The so-called third way epitomized by Blair and Clinton has been described by critics as “neoliberalism with a human face” or “austerity lite.” In which case, Robredo already is third way, as she is the current leader of the Liberal Party that in its six years in power under Noynoy Aquino presided over pro-globalization policies in the guise of “public-private partnerships” and was exemplified by its affirmation of contractualization in the Philippine Airlines outsourcing dispute. Robredo embodies a continuation of EDSA and thus of the epic failures of the elite democracy established after the Marcos dictatorship. In contrast, Duterte has made a popular career out of lambasting the EDSA democracy from the right. We believe a viable alternative to Duterte should come out of a radical critique of EDSA’s trapo democracy from the left. Heydarian posits that a radical alternative to the status quo has been eclipsed by the hegemonic discourse of neoliberalism. Thus his espousal of Blairism and Clintonism. But it can be argued that Blair and Clinton’s swing to the right merely paved the way for a further shift and thus the rise of extremism of the UKIP and Trump. Blair and Clinton’s abandonment of the historic and traditional working class base of the Labour Party and the Democratic Party made them prey to demagoguery of right populists. Heydarian likewise insists that socialism has been made passé by the rise of postmodernism. However, this is belied by the rise of Jeremy Corbyn and Bernie Sanders. In opposition to Blair and Clinton, Corbyn and Sanders have openly identified themselves as socialists and have championed radical platforms of reversing globalization. Corbyn has wrestled control of the Labour Party from third way acolytes and is poised to be the next Prime Minister if new elections were held. Sanders of course lost the primaries to Hillary Clinton through the undemocratic maneuverings of the Democratic Party machine but he would have beaten Trump in the election according to surveys. Despite predictions of the end of history and the death of grand narratives, socialism is alive and kicking. The defeat of working class struggles heralded the birth of neoliberalism but discontent over the greed and barbarism of globalization is engendering renewed resistance. Majority of millennials in the US prefer socialism over capitalism. Alexandria Ocasio-Cortez, a card-carrying member of the Democratic Socialists of America, just trounced in the primaries a high-ranking Democratic Party leader and is primed to become the youngest congresswoman in the next US elections. In many countries, radical candidates not third way politicians are in ascendancy as the rivals to authoritarian leaders. Andrés Manuel López Obrador just won Mexico’s election on a progressive platform of change. In Europe, third way social democratic parties have collapsed and it is new radical left parties which are battling extreme right wing groups for political hegemony. In the Philippines, more than 30 years of the EDSA regimes have exhausted the majority who remain mired in poverty and hopelessness, and even the middle and upper classes who are disillusioned at corruption and underdevelopment. Duterte has harvested the discontent at EDSA democracy and is trying to channel it into support for dictatorship. 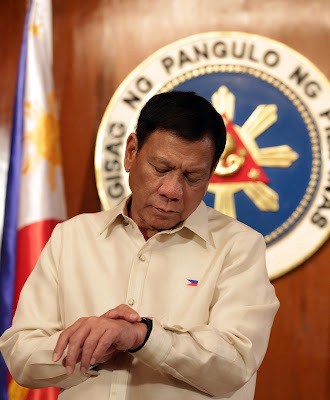 But after two years of broken promises, Duterte’s satisfaction ratings are down from excellent to good, especially among the urban masses who are reeling from endo and inflation. They are the constituency for a radical alternative to Duterte and the rotten system of the EDSA regimes.